Sometimes an opera grows into the time in which it’s meant to be heard. Such is the situation with the unpromisingly-titled Paul’s Case by composer Gregory Spears and librettist Kathryn Walat, first heard in ink-not-yet-dry circumstances in the 2009 Philly Fringe Festival. Now, in a new, late-April production by the Washington, D.C.-area company Urban Arias, the piece is nearly ready to claim a place in the chamber opera repertoire – thanks to a long-haul development process for which American Opera Projects deserves much credit. Simplistically speaking, it’s an opera about a teen-age gay suicide – the most obvious reason why its time has come, even though the narrative is set in 1906. As seen at the Arlington, VA Artscape, in a production directed by Kevin Newbury (who is also working with Spears on the forthcoming Fellow Travelers), Paul’s Case is hugely communicative on every level, and it’s such integrated theater (mostly) that you come away with the world of the piece inside of you, though you’re not sure by what means it got there. 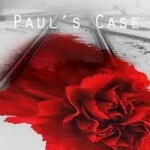 Based on a Willa Cather short story of the same title, Paul’s Case concerns a misfit high-school boy in Pittsburgh who lives in a well-upholstered world of his own, dreaming of beauty and luxury, dresses like a dandy with a trademark red carnation in his lapel, and has probably given up any hope of acceptance among his peers – or teachers, who begin the opera lined up at the edge of the stage, a united front, humming. It’s one of several effects in the production that initially seem benign but create a checkmate situation for the title character, who runs away to New York City on stolen money, checks into the Waldorf, has a romantic winter night on the town, and meets his end – one that he has planned – as he buries his red carnation in the snow. The character is explored so fully by the two-hour, two-act opera that Paul emerges as sort of a cross between Manon Lescaut, an alluring innocent with a childlike fascination with the best things that money can buy, and Peter Grimes, the outsider whom the world hates though it doesn’t really know why. Paul’s intoxication with dreams of a more glamorous world isolates him, and his perceived insolence gets him expelled from school, even though there’s no specific incident to pin on him. He’s a rare bird whose only sin is opacity. And because of that, he’s thrust into the hopelessly mundane working world where large sums of money pass through his hands quickly. Once the theft is done and the train to New York is caught, Paul just can’t believe how easy it all was. He meets a Yale boy in the city for the weekend who shows him around; they nearly sink into bed together but do not. Maybe if they had, Paul’s carnation would not have been (metaphorically) buried in the snow. The performing apparatus was nine musicians and a thrust stage in a black box theater; the staging was stronger for suggesting settings rather than depicting them. Only at the end is there a coup de théâtre: A grid of overhead interrogation lights – another initially benign image – lowers down onto Paul in the final scene as he’s lying in the New York City snow, armed with a gun that tells you he always knew his spree would end with him facing utter disgrace and possibly jail time, and that he always intended to end his life this way. Musically, Spears counts as two primary influences Minimalism and Baroque opera. The Minimalist aspect seems there mostly for propulsion; by Baroque opera, we mean not Handel but Monteverdi. 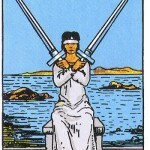 Paul’s Case has not arias per se but ariosos that naturally explore the character while advancing the story. Certain techniques from other Spears pieces are apparent: He likes starkly stated chords accompanying narrative passages, and, just so we don’t think any musical road is too smooth, the vocal lines are littered with grace notes that aren’t graceful in the least but feel like the bumps of real life. The score is full of lyrical impulses, though they’re only intermittently found in the vocal lines. There’s a compositional selflessness in that: the opera might be more superficially attractive with big set-piece arias in each of the two acts, but they could cost the story-telling its flow. Instead, the Act II climax has melodies of great power woven all around Paul like the sumptuous clothes he has purchased with stolen money, with his own vocal lines partaking of this lyricism here and there, always maintaining a sense of theatrical verisimilitude. People don’t sing long, pretty vocal lines when in suicidal despair. But you can’t have followed Spears in recent years without feeling that Paul’s Case doesn’t represent the current state of his art. My feeling from his more recent music, such as the Requiem and the work-in-progress Wolf-in-Skins, is that his writing has grown more spare and articulate. But those coming to Paul’s Case fresh probably wouldn’t hear the piece as immature in the least – with the possible exception of the first scene in Act I, by-the-book Minimalism whose repetition fails to move the narrative forward. And occasionally, Spears’s trademark use of vocal grace notes feels a bit obscure. However, most questionable moments were overridden by the power of the story – not to mention the performers. It’s hard to imagine anybody but tenor Jonathan Blalock playing Paul, with his light Rossini tenor, a face as easy to read as a TV screen and a sense of wonder amid the cold hard reality of his world. You also know that much is right with this opera if only because of the many uncomfortable questions it raises. Paul’s suicide avoids one of the primary conditions of adulthood: coping with loss, in his case the loss of his appetites and dreams. It’s true that Paul is unwilling to bide his time and to properly earn the life he wants – if that’s even possible in his repressive world. You have to ask, though, if it’s right to avoid compromise, to not adapt himself over the long term – as opposed to enduring long stretches of being of one the living dead and not knowing if his life is going to get any better. It’s often said that suicide is a permanent solution to a temporary problem. But how temporary? And how bearable is the wait? My personal reactions to these issues were particularly penetrating given that the opera was performed in the middle of what used to be a 1980s bare-bones office ghetto in Rosslyn, VA. In fact, Artsphere is literally across the street the first location of USA Today, where I once worked. I once knew every inch of what was then an uninviting, beige concrete, boulevard, and I never imagined that I would ever see an opera there. For years, you were lucky even to find something as exotic as a Chinese restaurant. Now, decades later, delis are everywhere offering smoothies and Kombucha tea. For me the surroundings underlines that what Paul’s Case fails to take into account – and this is an observation of Cather’s original, not a judgment – is the possibility of miraculous turnaround. were either being killed or having their lives ruined by mysterious chemicals and post-traumatic stress disorder. Now, there are people who never saw Vietnam in wartime who are going there for bicycling vacations. Is it worth the cost of waiting for the world to come around to something you can stand to live in? My assumed answer is “yes,” because my choice was not Paul’s. But in real life, it’s a decision most of us make by default. Without the confrontation inherent in Paul’s case, we keep living for lack of any immediately compelling reason not to. So is Paul’s choice to be respected? What is most obvious is not profound; and what is profound is not obvious. The tragedy is that even enlightened creative people who have understood this can still falter and take Paul’s road. There was of course another faltering Paul who faltered first and then was redeemed. So as a response I’d say: may God’s grace (or whatever you like to call it) sustain the human spirit on its long pilgrimage – often through art – to ‘seeing God as he really is’ (or whatever you’d like to call it). I say that with no parti pris. I’ve always sensed how these can seem just unfathomable words, whose consolation is not always obvious. But I read DPS’s Cliburn and Cavalli pieces too. No-one wants to go the route of that unfortunate Emperor. But you can see his point. Then there came Jung, who made us realize that these realities are internal, and, finally, spiritual and even religious. Anyone who holds this torch of insight even for a small second must surely have a great reward. DPS’s writing, so sensitive and -finally- compassionate is surely treasured ‘both in this world and the next’ (or whatever you like to call them). Thank you. It’s true. DPS is the most compassionate critic I’ve ever encountered.